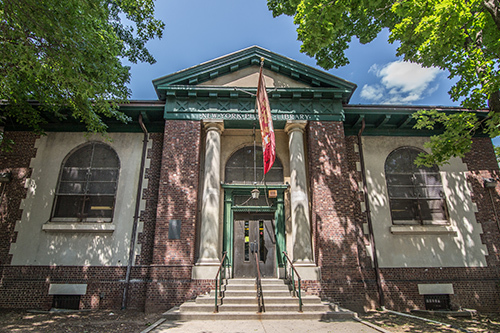 Located two blocks from Port Richmond Avenue along Bennett Street and opposite Veterans Park, the Port Richmond Branch opened its doors in 1905 as one of the branches built with funds from Andrew Carnegie. 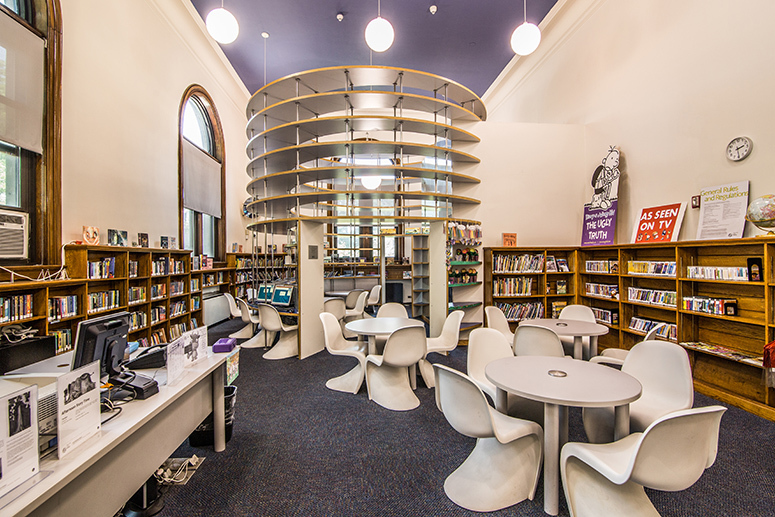 The branch, with its fireplaces, oak shelving, and original turn-of-the-century furniture, provides an inviting space to read, study, or enjoy free programs. A major renovation of the Children’s Room in 2008 provided new lighting, furniture, and computers for children. Programs take place in the Chimes Playhouse, a charming auditorium, which was added in 1939. The library’s holdings have grown steadily since 1905 and now include large young adult and Spanish collections. Port Richmond also houses a small collection of materials on the history of Staten Island.